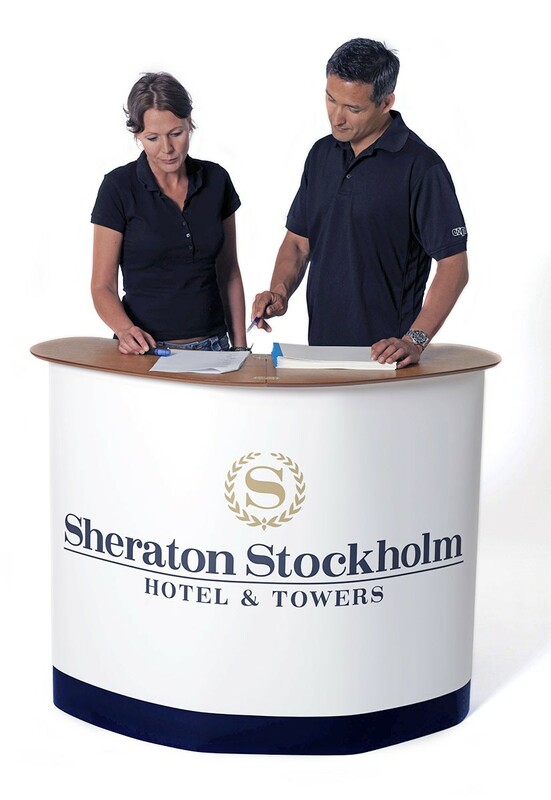 This innovative shipping case is excellent for transporting popup displays and banner stands, and it can also convert into an attractive podium or presentation counter in minutes. 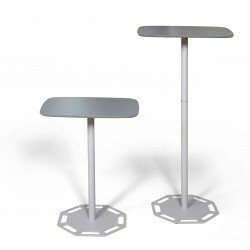 Available with packages to convert the case into a small or large podium, or the case can be ordered as is and the parts required for conversion can be purchased separately. 1. How much weight can it hold? If you mean how much weight can the case hold, there's not a specific weight rating but it's not unusual for it to hold 75-100 lbs. If you mean how much weight can the podium top hold, that's rated at 88 lbs. Normal production time is 4 days and rush service is also available. 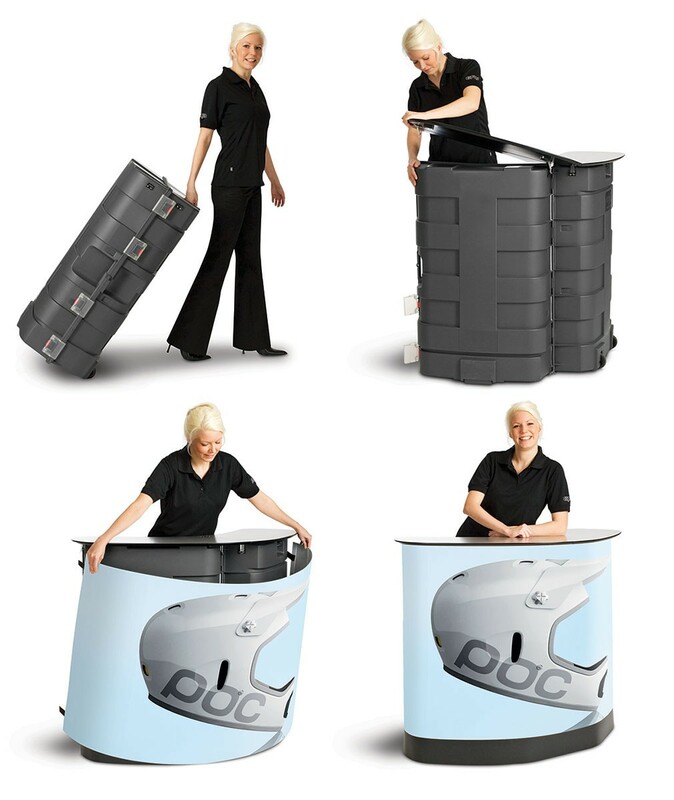 The Expand PodiumCase is an innovative shipping case that can convert into a podium or spacious presentation counter. 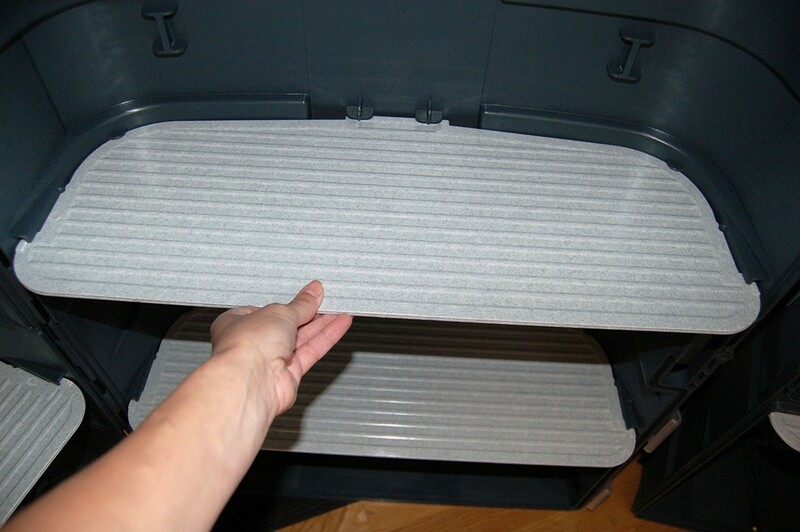 As a shipping case, the PodiumCase is unique since it is based on the concept of a suitcase and not a trash can. Loading and unloading a display is much easier because the case opens lengthwise on the ground. Lifting of display items is minimized and positioning items inside the case is much easier. 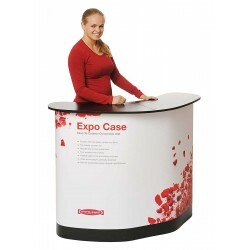 The Expand PodiumCase can quickly turn into a large presentation counter. To create the counter, just open the case, put on the wooden top, and attach the graphic. In the open position, the counter has a unique shape that provides ample space. Inside, the optional, detachable shelves hold up to 28 lbs each of brochures, drinks, demo products or anything you want kept out of public view. By adding a graphic wrap you can also use the front of the case for extra exposure of your message or your logo. 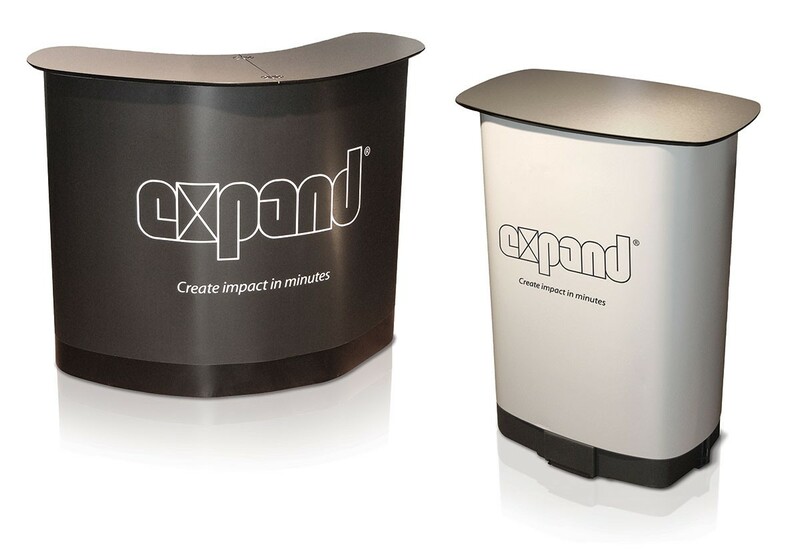 The Expand PodiumCase is an excellent shipping case for Expand 2000 or Coyote Pop Ups, or multiple banner stands with a width of 36" or less. The case can be used in a closed, traditional format or for a larger presentation area, open the case to dramatically increase the message area and counter space..
Internal shelves give you a place to keep extra literature or any other items, out of sight from your audience. Can only be used with the case in the open position. 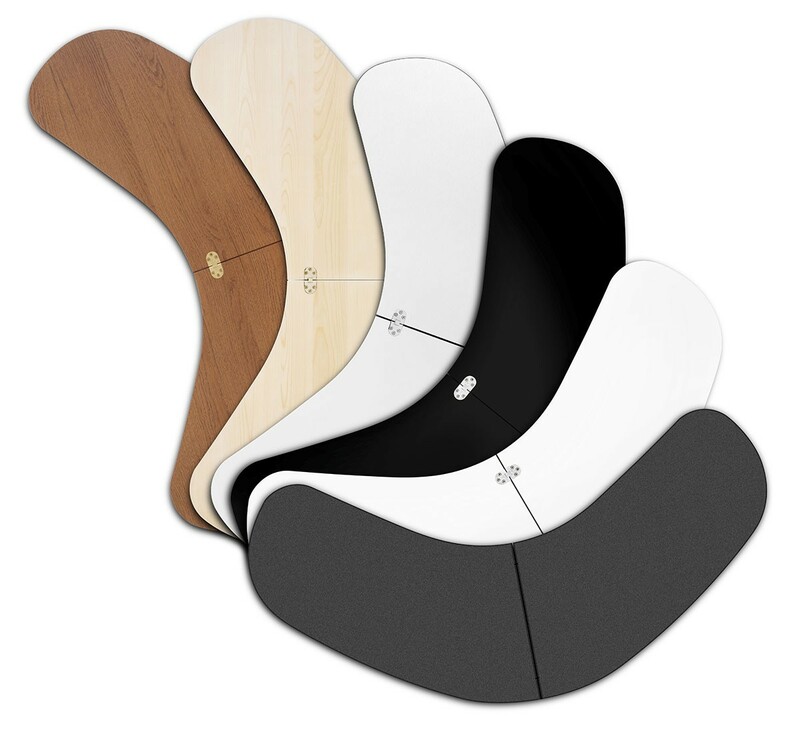 You have a choice of wooden podium tops in Oak, Birch, Black, White and Aluminum in both the open and closed configurations. In the open configuration, there is also a weather resistant light weight black plastic top. 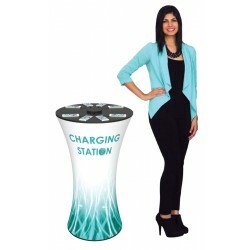 A graphic wrap will conceal the Expand PodiumCase and give you extra space for branding or extending your advertising message. 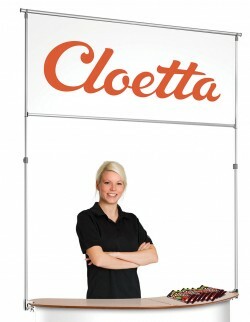 Graphics install quickly and simply attach with velcro. 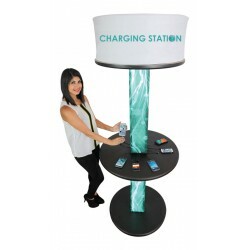 A header frame with telescopic height can be added to turn the PodiumCase into a kiosk, information center or sampling station. 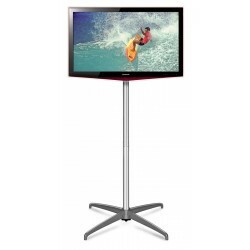 The optional MonitorHolder allows you to attach up to a 15 lb display to the PodiumCase top, providing video or digital signage opportunities. Expand PodiumCase weighs 22 lbs. and has durable, built-in wheels and handles. 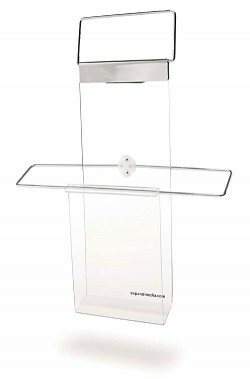 The PodiumCase can be set up in less than a minute without tools. 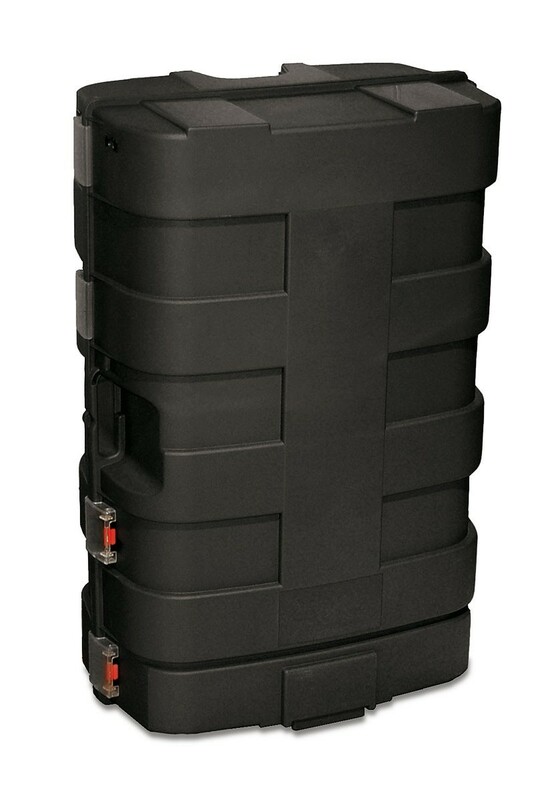 This case is the perfect hardware for storing, transporting and displaying your message. 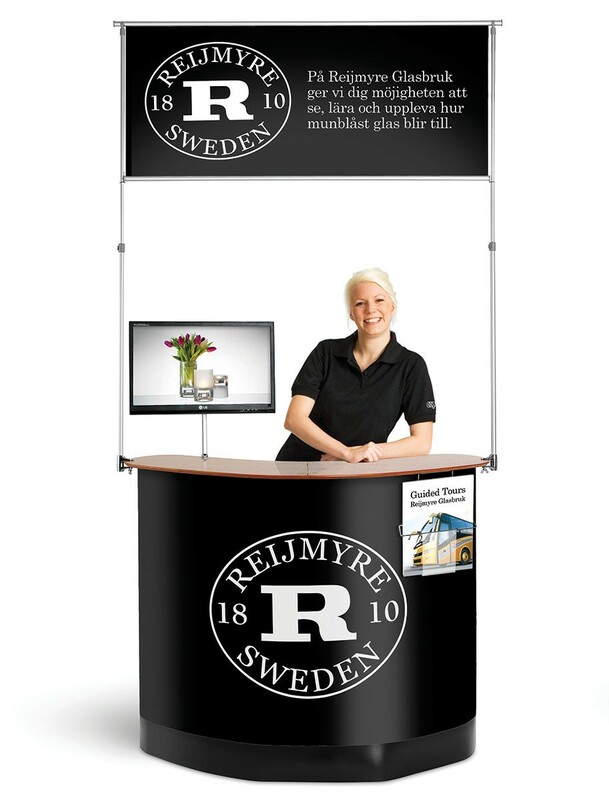 Display your message for your target audience, whether it is for a sales meeting, presentation, point of purchase display or trade show. Expand offers a lifetime warranty on the Expand PodiumCase against manufacturer’s defects in materials and workmanship. Interior Dimensions: 37" x 21.5" x 12.5"
Note that this is the minimum interior size. There is as much as 16" of interior depth and 23.5" of width in areas that are not affected by indentations from the wheels, handles, etc. Exterior Dimensions: 39" x 29" x 18"
Graphic Dimensions for Closed Case: 71.75" x 33.4375"
Graphic Dimensions for Open Case: 68.875" x 33.4375"